It is time to SPRING open those shutters, let the fresh air in and kick the winter blues out of the house. Spring is upon us, it’s time to welcome the wellness of connecting with nature, both indoors and out! Spring is such a beautiful time of year, flowers are blooming, the weather is getting warmer and the animals are playful everywhere you turn. 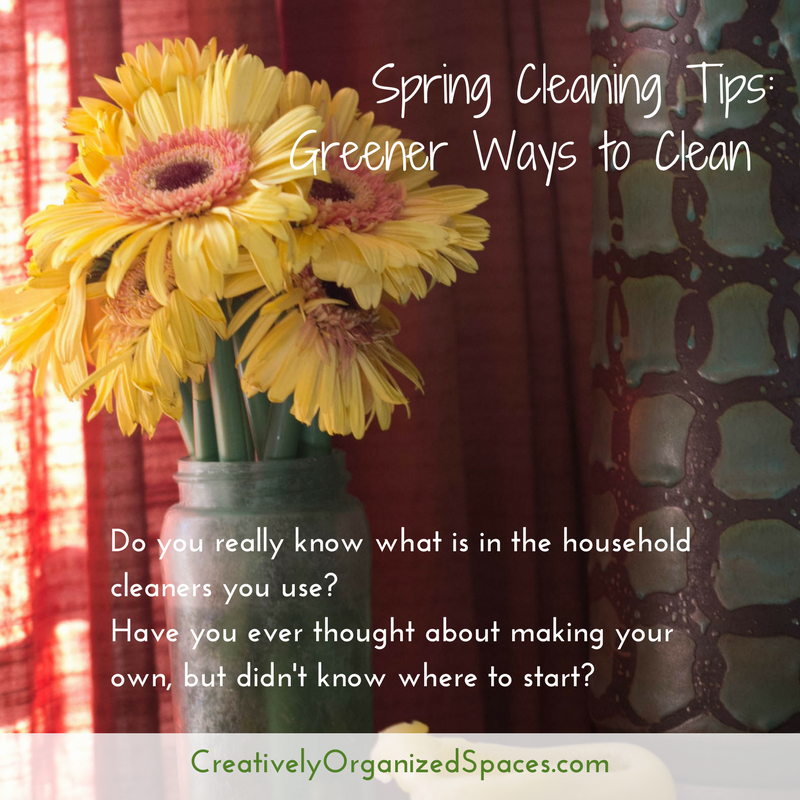 While Spring as a season might be beautiful, Spring cleaning is not as glamorous, and for many people can feel like a drag. But, it’s a perfect time to de-clutter, organize your closets and leave your home with that clean and fresh smell. There are so many cleaners and cleaning products on the market but do you really know what’s in them? How healthy are the cleaners that you use? Non-toxic cleaners should be used around your home year around – not only in the Spring, and especially if you have small children. The benefits of greener cleaners include; fewer toxins and chemicals being absorbed into the skin, less damaging to the environment and better air quality in your home and they are less expensive in some cases (DIY cleansers!). If you want to better understand the toxic chemicals to look out for in your cleaners, check out my previous wellness post on the subject. 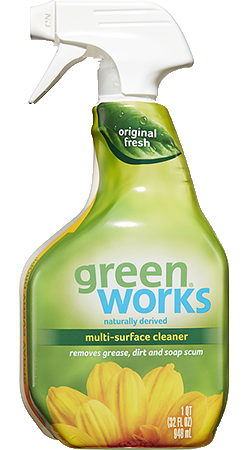 GreenWorks Multi-Purpose Cleanser is a great cleanser to use for virtually any room in your house. It can be used for a variety of different tasks and is safe for your home and your children. Not only is it made with 97% organic materials, but it also works on those stubborn stains or hard to handle messes. 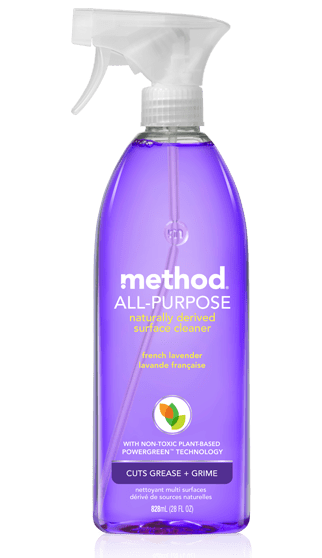 Method is another cleaner that has the environmental seal of approval. The method product line comes in a var iety of different cleaners including hand soap, dish soap, laundry detergent, bathroom cleaners, all-purpose cleaners and even a body wash for men and women! They come in a variety of scents and uses all biodegradable materials. They’ve thought of everything! Mrs. Myers is a wholesome midwest cleaning brand started by Mrs. Thema A. Meyer. She created Mrs. Meyers because of her penchant for keeping things neat and tidy and the scents were inspired by her garden. Her line of cleaning products which range from hand soap, body soap, laundry detergent and air fresheners are all made with natural sce nts like mint, basil, and lavender. 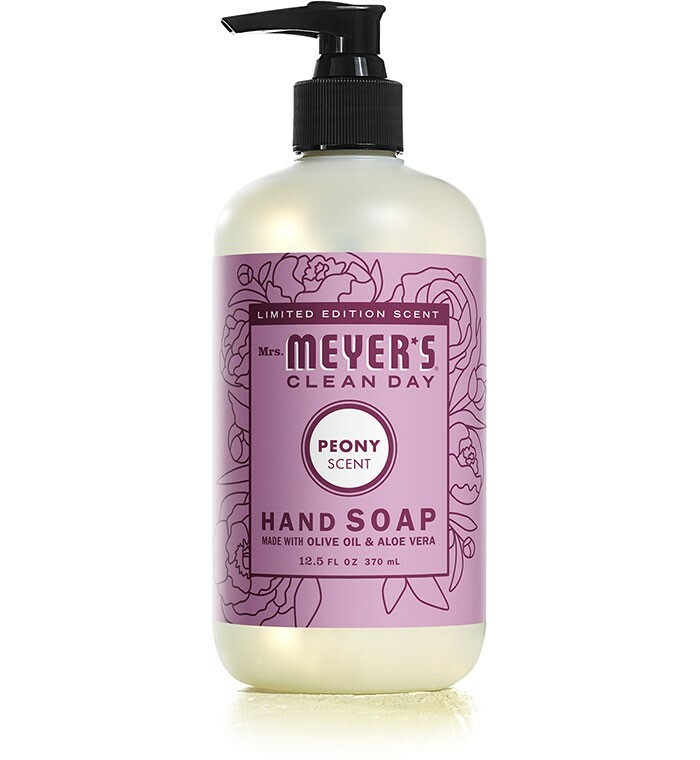 If you want your home smelling like a bouquet of roses this Spring, you better get cleaning with Mrs. Meyers! For those who want to know EVERYTHING that is in their cleaners, DIY is the way to go! Many homemade cleaners are made with ingredients you probably already have around your home. Vinegar, essential oils, baking soda, olive oil, and water are the key players in most of your homemade cleaners. Vinegar is a key ingredient to getting rid of bathroom dirt and grime! For tough toilet stains, add ½ baking soda along with a few drops of essential oils into your toilet bowl when you’re ready to tackle the toilet add ¼ cup of vinegar and scrub away the mess as it works its magic. 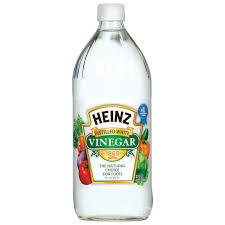 A spritz of pure vinegar can be used in your shower and sink on soap scum and hard water residue. Add it to a spray bottle and spritz it on, letting the vinegar soak for 20-30 minutes before wiping off. If that doesn’t work, add baking soda to the mix and try again in 15 minutes. Most kitchen surfaces can also be treated with vinegar, but if your surfaces are made from marble, granite or stone stay away from the high acidity and use vodka or rubbing alcohol instead. Mixing equal parts water and vinegar will make a very effective multi-purpose cleaner that can be used on most surfaces including countertops, floors, and walls. To tackle greasy frying pans just add salt – and give it a good scrub! If you need to clean a cast iron pan add olive oil and a teaspoon of course salt and rinse well with water. The best way to sanitize surfaces is with a lemon, simply cut it in half and run it over the surface you would like to disinfect. Having the right ingredients is only half of the job, having the right cleaning tool is the other half. Sponges that have a harder edge are good for scrubbing stubborn pots and pans. Rags or microfibre clothes are excellent for disinfecting surfaces and the magic eraser is great for removing soap scum, scuff marks and any other war wounds your child puts into it! The laundry room is where most people run into trouble with the homemade detergents because if you throw a cup of vinegar in with your clothes, they wouldn’t come out smelling very nice. Laundry detergent is a bit tougher to make, only in the sense that you have to add more ingredients. 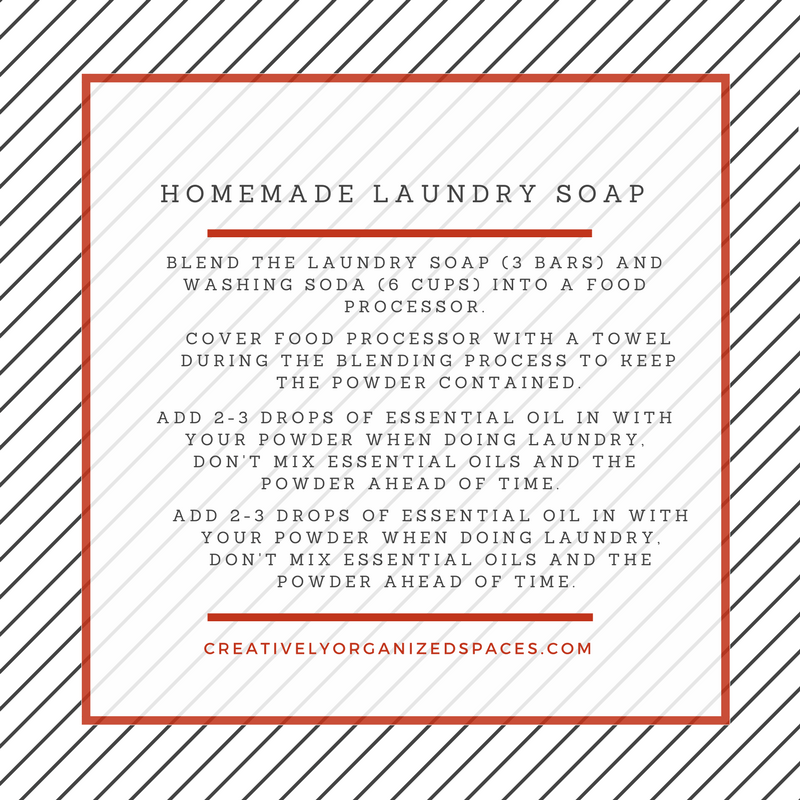 Combine bar soap (chopped and processed), baking soda, essential oils, vinegar and washing soda and you will have created a very effective and pleasant-smelling laundry detergent. Instead of using dryer sheets that lose their scent after one use, try using laundry ‘scenters’ that will stay fresh for up to 30 loads of laundry, or more! Add your favorite herbs or loose tea to a sachet (one that has holes that the herbs can aerate is best). Every room in your house has one and floors can be tricky to keep clean. Anyone with hardwood floors can keep it simple by washing (or steam cleaning) with warm water, just be sure not to over soak your mop when washing the floors. If your floors still aren’t looking as clean as they should, add a bit of dish soap in to bring out the dirt and let those floors shine. Laminate floors are very delicate and steam mops shouldn’t be used on them. When cleaning a laminate floor clean with a light mop and spray the cleaner onto the mop, not directly onto the floor. Using a mixture of three parts water, one part vinegar and a squirt of dish soap should do the trick. Most other floors are easy enough to care for and don’t require any special precautions. A typical all-purpose floor cleaner is a cup of water, ½ cup of vinegar and a tbsp of vegetable oil to bring out the floors natural glow. There are hundreds of different homemade cleaner recipes out there, all have different purposes and work differently for all homeowners and their grime, but the one thing we can all agree on is that they are made from natural ingredients and have a positive impact on your home and the environment. If you have any recipes you’d like to share, please leave them in the comments below! Last week, we identified three steps to get paper piles under control, this week we create a simple paper sorting system! If you missed that post, please go back and spend about 30 min’s preparing for these next steps. To recap, we start by identifying what overwhelms us about paper piles and how or why things are so out of control. This is a mental step but feel free to journal about it if that helps! Next, we list the categories of files and papers we need to keep. Finally we create a working space or staging area where we can spread out with our supplies gathered. Many people suggest the first step to paper sorting is to gather all your papers in one place. I don’t start with this because I believe before we dive into paper sorting, we need to identify how we got here and where we want to be! I’ve written about setting intentions in several past posts. This step can be easy to overlook and seem like it’s unimportant, but it can make all the difference in creating lasting change. Now, we are ready to gather all our papers to our working area. If you have a lot of papers in an existing office, it might make sense to start in that area. Gather everything to a table or desk where you can go through your stacks (or files or bags) and begin paper sorting into categories. In a prior post, I go through several kinds of filing systems, including the Tickler, binders and color coding. Before you commit to one filing system, take a look at some alternatives. This paper sorting process will work for any type of filing system! *A quick note about shredding and sensitive papers. If you have a lot of papers to process at once, hold off on shredding and put papers to be shredded into a LABELED bag or box. If a piece of paper only has your name and address, you might want one of these great ID Blocker stamps so you can mark out your info and recycle. With all your supplies and your staging area set up, let’s begin paper sorting! Gathering papers is like a treasure hunt, you probably have papers hanging around over the place. Don’t forget to look in the kitchen, bedroom (nightstand drawers or surfaces), dining room, office or den and your car! With your list of categories nearby, put each of your categories on a sticky note. If you come across a category you don’t have, just add another sticky note! We will review later. Don’t forget an “Action or To-Do” category and a “Delegate or refer to someone else” category. Common filing mistakes I see are overly complicated or very vague systems. See this post to review your categories. Pick up your first stack and begin to sort into recycle, shred or one of your categories. If you have a lot of categories it can help to set up hanging folders in an empty box or file drawer. I prefer to start with a blank slate and work through old systems and stacks, sorting into the newly created system. Continue the paper sorting process for a set amount of time, taking breaks every 30-60 min’s. If you’re unsure about items, set them into an “undecided” area to look back through later. Though I can’t advise on what specific papers you will need to keep, a helpful retention guide is available on the IRS website. For anything related to taxes and finances, you may also want to check with your accountant. Going digital might be a consideration for information you can access online. If you’re not comfortable but want to try it out, pick one category like “Utilities” and begin to convert each account to paperless and see how that goes! If you like it, consider other categories such as banking, investments and insurance. Once your through the paper piles, that’s it! The only thing left to do is label your final categories and make sure your files are in the drawers, binders or the file box you want to keep them in. There are some downright gorgeous file cabinets in a variety of styles, check out my previous round up here. Now that you have an awesome system in place, maintain it daily or weekly so you don’t end up with a backload of piles ever again! Does paperwork pile up around you at home and in the office? Piles of Paper everywhere and no system in sight…unopened mail, junk mail littering all your horizontal surfaces. There can be so many reasons that paperwork piles up but getting through your paper piles can be either overwhelming or totally rewarding! Today I share the first easy step you can take to Purge the Paper Piles in your home or office. Piles of Paper can feel beyond our control but it doesn’t have to be this way! A lot of organizers recommend gathering everything together first, but we are going to do this a little differently. Before you gather all the Piles of Paperwork it can be helpful to identify why and how you got to your current state of overwhelm. I don’t have all those answers for your situation but I can make some educated guesses based upon my observations with clients, friends and family. A “Trigger Event”-such as an injury, death, move or birth put you off course. This event caused you to go totally off track and loose your system or maintenance of it. Maybe you had a system started, but that system may not have been a good fit for you, not everyone works well with the same system. You never learned how to create or maintain a paperwork system, it’s certainly not taught in school (in most cases)! We all have our breaking points and for some of us there are more urgent things in life than dealing with a paper piles that seem so unimportant! We push them aside, figure we will have time later and we make a lot of excuses for not getting around to it, day after day, week after week and sometimes for years. When you get to this point, it’s certainly easy to understand why we are overwhelmed and don’t where to begin. When we fall behind we tend to ignore what is present because we are worried about what is past. What do I mean? Instead of feeling like you need to go back through everything in the past to get started, start where you are. In my experience if you lost every single piece of paper in your house in a fire or other tragedy, there is very little paperwork that can’t be replaced. I’m not saying it’s something you want to happen just that so much of what we need to keep can be replaced with a few phone calls and emails. First (before gathering everything in your home/office), sit down and open only your most current paper pile of mail, receipts etc (today or this week’s). Think about what you have coming in. What categories do they fit in? Here are some general and sub categories. Next, list of YOUR categories, don’t think about what you had in the past or what you “think you should have”…just start simple. As you go through what you have, consider going paperless with utilities and bank statements or anything you can easily access online. You may still need one general category for all utilities (to keep track of account numbers etc). By simplifying your incoming mail and what needs to be filed you will create a system that’s easier to maintain. Simple systems work best, over-organized systems are cumbersome to maintain. File folders-new or used, different colors or one color…just don’t run out and buy them unless you need to. Hanging folders are optional but they do make the job easier (used is fine). The next step, pick up and sort through a pile to see how it fits into this new simple system. Depending on how long this first step took, you can estimate how much time you will need to sort and purge all your Paper Piles! If you don’t have a good system for your mail when it comes in the house, check out this post on Creating a Practical Command Center. *Some people may prefer a flat filing system like the drawers below or binders, but for the purpose of purging I will focus on file boxes of some sort. 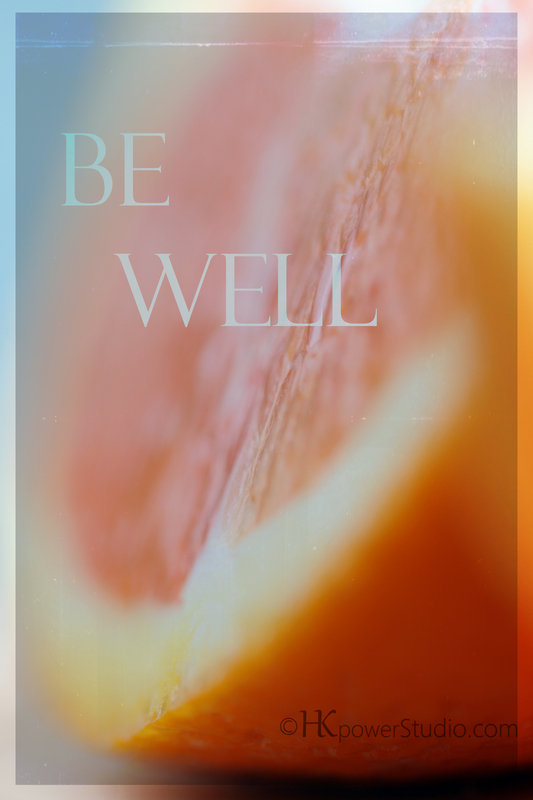 Wellness means more than keeping myself from getting sick or burnt out, overwhelmed or just getting by, it means feeling good about myself, finding balance, nourishing the spirit and soul and being a good steward of the earth. 12 ways to BE WELL, in body and spirit. 1. Get 8 hours of sound sleep (give or take what feels right to you). See last week’s sleep post here. 3. Eat lots of organic and local produce. Same goes for meat and dairy if you are not vegetarian (which I am not but was for quite a few years). 4. Take time to do something that gives you Joy each day. This might mean quality time with loved ones (pets, family or friends) or taking time for a personal hobby you love doing. 5. Drink water as much as possible every day. 6. Use natural and non-toxic cleaning and beauty products in your home and on your body (that are not tested on animals and that do not contain parabens and other carcinogens)..
7. Keep houseplants and get out and garden if you can. 8. Volunteer and help others out when/however you can. Online is great but in person is even better! 9. Breath. Stop, notice your breath through your day and just bring your breath back to you. 10. Have FUN and Play more! 12. Don’t forget to Smile! Smiling can change our attitude and thoughs, give it a try regularly. These may all seem like really basic practices and I commend you if you already do all of these (they are all a part of my regular routine at this stage in life). If you feel like some or many of these goals are not attainable please stick with it, you can change habits but it takes time. Find the ones that seem the most EASY or the most REWARDING or the most FUN and start with them! I will be share more ideas about wellness and self care throughout February and I’d love to open this up for discussion. If you would like to join me, please connect on my Facebook page. Take a little time to know what’s going on your skin and your whole body will thank you (our skin is our largest organ)! Follow these guidelines for an easy and quick bathroom tidy! By getting rid of what’s unhealthy, funky, old or expired. Our bathrooms are essential to our wellness but we have to do a routine Toiletry Toss to be sure we are taking the best care of ourselves. Estimated organizing time: 30-45 min’s. Toss the toiletries. Open the medicine cabinets, closets or any cabinets you store your bathroom products and toss expired and funky unhealthy stuff. Follow these guidelines to know what to toss and why. Make-up-I really like this guide by Bobbi Brown, if your on Pinterest…Pin it and refer back as needed! Perfume and essential oils-three years (store in cool dark places-not the bathroom!). Look for expiration dates (usually printed on the crimped ends of tubes). Better yet, mark it yourself with a permanent marker with the date of your purchase. Download the Think Dirty app to find cosmetics and toiletries that are carcinogenic. I guarantee you will be shocked! Medication Mindfulness. Toss old medications but don’t flush them down the drain. This pollutes our waterways and bodies. Use safe disposal options such as returning to pharmacists (some will take them back) or dispose of them. Place medication in a small bag with coffee grounds, kitty litter or dirt so that critters and kids are less enticed. Remove any personal info before recycling or disposal. Go ahead and dump it all out! Clean off the crud. While everything is moved out and off the counters give them a sanitizing wipe down. I prefer non-toxic natural products. Move things out from the walls and wipe items down including the back splash. Finish cleaning up with walls and switch plates, cabinets, drawers and handles. Group like items. Corral the contents of your cabinets by person and category like skin, hair, first aid, oral hygiene, makeup etc. Then, if you have enough space, designate shelves, drawers, cabinets or containers (use color coding and labels!) to each household member. Store things standing up if your drawers are deep enough. There are so many great container options to organize drawers and medicine cabinets. There are great options on any budget from boxes you can recycle to inexpensive plastic baskets to fully customized acrylic drawer inserts. Maintain-Put it away-Daily. Estimated Daily Maintenance time:Take 3-8- min’s to put things on your counters and floor away and give the counter a quick wipe. Do this every day (either in the am when you are done getting ready or before bed) you will always walk into your bathroom with a sense of wellness. Doesn’t your bathroom feel better now! Help your kids and your spouse do their own toiletry toss once you complete your own. Need more? Email me and I promise to help you through it. One way doesn’t work, for everyone. I offer virtual and in person organizing, more info here.